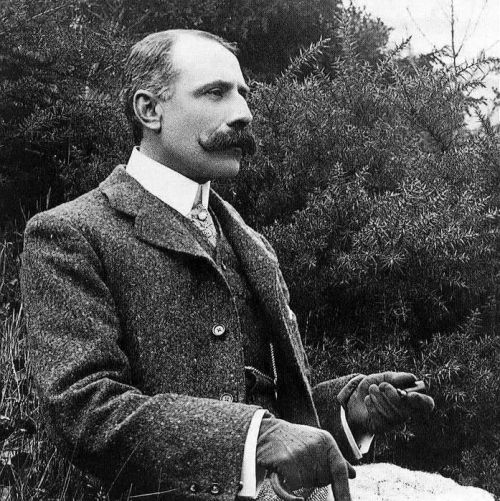 This recording of British and Irish works for cello and orchestra will take you on a journey through the magical world of three great composers: Sir Edward Elgar, Sir William Walton and Ina Boyle. While studying two years in London, I fell in love with three very different composers of the 20 century who have the special ability to create a whole parallel world of colours and feelings. A world that you don’t want to leave, a fascinating and beautiful place. I decided to record a cd with their pieces for cello and orchestra. Get to know more about the pieces! The second piece of this CD will be the cello concerto by Sir William Walton, composed in 1956. I fell in love with William Walton’s music for the first time when I was playing his sonata for strings in the soloist ensemble of the Royal Academy of Music a few years ago. It was a love at first listening. I would come home after a whole day of rehearsal and listen to it one more time before going to bed, and again on the tube going to the next rehearsal. Walton wrote melodies and harmonies that seem to weave a parallel reality which changes suddenly, creating new colours and forms, kaleidoscope like. It is hypnotizing and simply stunning. And now to what could be the most exciting part of the project: Ina Boyle. 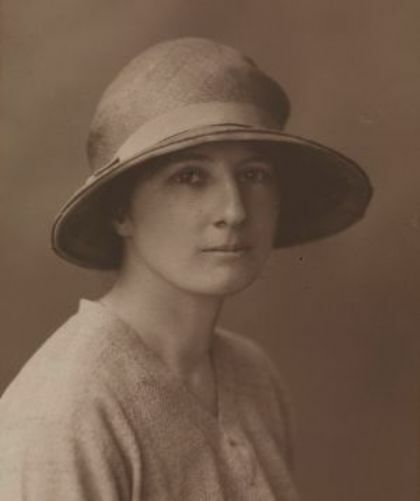 Ina Boyle was a female composer living in the 1 half of the 20 century who composed a great amount of works. Unfortunately, she didn’t experience a great recognition at all. She lived her whole life in her parent’s place in the countryside of Dublin, and although she went from time to time to take composition lessons with Ralf Vaughan Williams, she didn’t seem to like the life of the metropole and didn’t stay there long enough to make a name for herself. It is incredible to read her journal and see how hard life has been for her. She sent her works to so many musicians who didn’t reply or weren’t motivate to read it, she even went so far as to try and plant peas in her garden to have a little rent. She never stopped composing. The documents I found about her show an immense strength accompanied by a sort of tranquillity, may be the conviction to be doing the right thing even if her supporters were very few. As I read her Elegy for cello and orchestra (1913) for the first time, I was immediately taken by the music, so profound, often melancholic, with a sense of realism that is very moving. I mentioned that it might be the most exciting part of the recording: you have to imagine what it is to play a piece for the first time in History, especially when it has been written so long ago. It feels like delivering a message that has been waiting way too long. Who else will be involved in this project? I have found wonderful performers willing to accompany me in this project: The Staatskapelle Weimar, a first category German orchestra which I played a concert with a few years ago. I remember their gorgeous sound and incredible flexibility. I could also win Paul Meyer as conductor! As you might know, the CD industry is having a tuff time right now, and most of the CD labels have adopted a new business model in which even well established artists have to support a part of the production costs. This is something that I couldn’t possibly afford on my own and if you are happy to help me, I have a lot of different ways to thank you, just have a look at the menu to discover them. This project ended successfully on 27/5/2016 15:00! «The Digital»: You will receive the «Cello Abbey» CD in MP3 before official release! «The sneak peek»: You are invited to sit in the rehearsal with orchestra on the 20th of May 2016 in Weimar! You will receive a signed «Cello Abbey» CD at your place before release. «Gold»: You will be offered a private concert in Europe (with post concert CD signing if wished), and three «Cello Abbey» CDs signed and sent to your home before release. «Diamond»: You will be offered a private concert with piano accompaniment in Europe (with post concert CD signing if wished), and three «Cello Abbey» CDs signed and sent to your home before release. Hello! 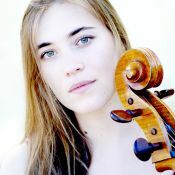 I am a classical cellist and recording artist from Switzerland/France and am living between London, Geneva and Cologne. After a first CD for cello and orchestra dedicated to French music and a second with Spanish and South-American works for cello and guitar (have a look at the Gramophone and Strad reviews attached! ), my next project brings british and irish works toggether in a new CD.